What is Paz Financiera II? “We’re finally stable, now what?”, is the question families have been asking for the past few years. 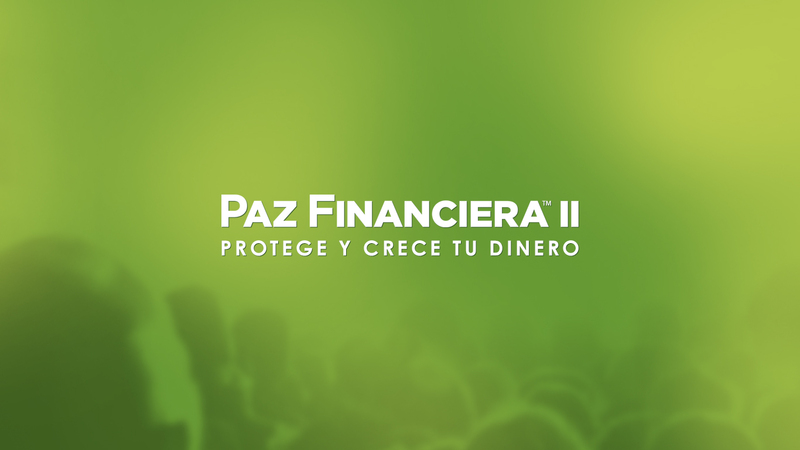 Paz Financiera (the Spanish version of Financial Peace University) has helped a great number of families to get out of debt, build an emergency fund, and one of the most important aspects of this course, has helped to bring together marriages that have struggled in the area of money. All of these families have come to the obvious conclusion, “we’re happy, but what’s the next step?”. Paz Financiera part 1 will help you get your finances under control. 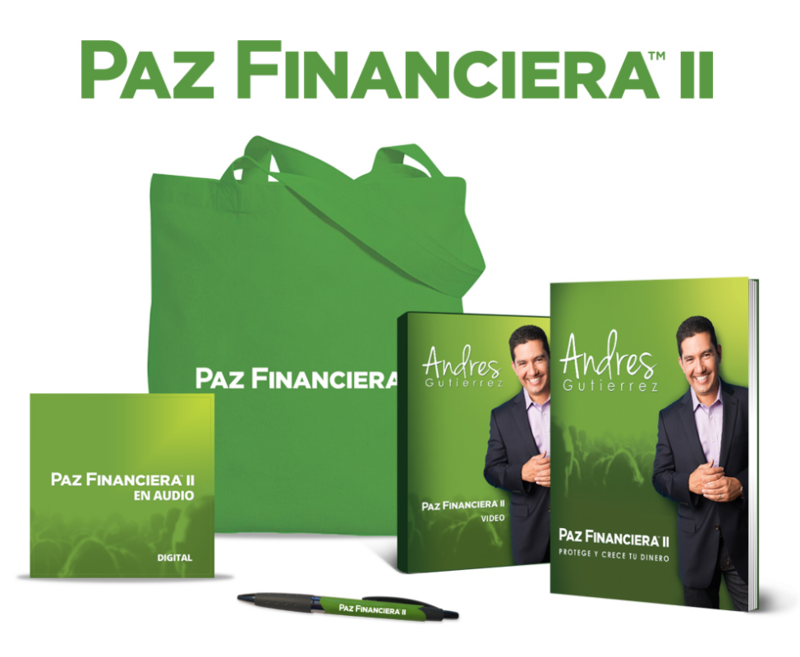 This new course, Paz Financiera part 2 will help you to protect and grow your money. Learn to identify the enemies of Financial Peace. There are forces that aim to empty our pockets everyday. In this class you’ll learn how to safeguard your money from the inexhaustible attacks of promotions, advertising and marketing. Many people think the reason that they do not have enough is because they do not earn enough. The truth is that to have enough, you have to win the war between the things that are necessary and those that are wants. These wants will get you into financial problems, especially major purchases. That’s why it’s important to learn how to make these purchases without digging yourself into a financial hole. Many people think that insurance is a scam; but the reality is that in a healthy financial plan, the defense (insurance) is as important as the offensive (investments). Insurance is protection for your money because what took 10, 20 or 40 years to accumulate, can be gone like water between your fingers if you do not have adequate coverage. It is true that there are a lot of scams out there with these products and for that reason, you must learn to recognize what these scams are, how to avoid them or eliminate them if you already have them, and only pay for what is necessary. The person who saves has savings, but the person who invests, regardless of their income, becomes financially independent. Financial maturity is not a matter of luck, like winning the lottery. By the way, you have a better chance of being crushed by a soda machine than winning the lottery. It’s a matter of knowing where to put your money and being consistent. In this class you will learn in simple terms what investments are, how they work and how much they pay to make your money grow. Can you imagine reaching retirement and not having to work to make ends meet? Now that we know how investments work, we need to put them to work for us to get the best possible returns. Here you will learn how retirement accounts work and which ones apply to you, whether you work for someone or on your own. You will also learn which are the best accounts to have so your kids can go to college and not end up drowning in student debt. We all have the dream of buying a house. The problem is that the house can easily become a nightmare due to a lack of information. Do you want the house to be a dream come true? In this class you will learn when to buy, how much house to buy and how to buy it. The main obstacle to making the dream a reality is the mortgage. Now you will know how they work, how to get one and how much they can cost you. Both buying and selling is complicated and this lends itself to abuse, so arm and protect yourself with this information. If you learn to align your character and your personality with what you do, there’s no doubt that you will enjoy more of life and this, almost always, causes your income to skyrocket. Good jobs rarely fall from the sky. In this class you will learn how to hunt and get the job you want, with who you want. You will also learn about when it is necessary to have an extra job or maybe start your own business. It is very likely that this class has a very strong impact on your financial life. Can you imagine living without having to work? Are you ready to grow financially? Its not complicated when Andres shows you the way. You can do this, start today! Learn along with others in your area. Find a location offering the class close to you. Call them for information on costs and to register. You’ll receive all the materials you need to take the class at home when it’s convenient for you. I want to offer the class in my community!